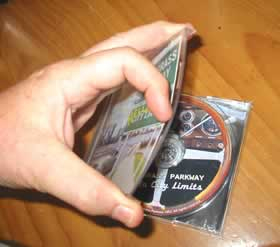 Recently, a listener wrote that he was really frustrated with opening CDs and found them difficult to open. I remembered that I found them difficult to open too, until a fellow DJ told me that they had been designed to be opened with one hand. I was incredulous. 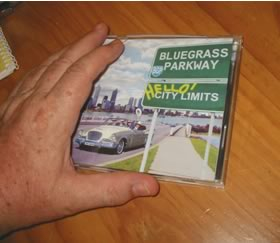 If I had trouble opening CDs with two hands, how come it was easy with one hand?? Nah! Couldn't be. This is a lot more difficult to say than to do. Try it, and you'll see it's a whole lot better than any other way to open these little puppies. First place the CD down. Yes PUT IT DOWN on a desk, the car seat next to you, or your lap. PUT IT DOWN!! 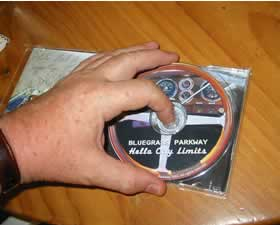 Holding the middle of the cover, lift gently with your thumb and middle finger and press down with your index finger. This bends the cover and releases the mechanism on the case that keeps it closed. Holding the cover in that curved shape, lift your hand, opening the case. There's no need to keep it curved once the case has opened, but this picture shows the knack well. 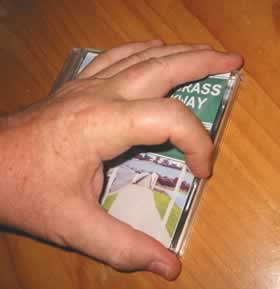 To get the CD out with one hand, just grip the CD itself by the edges with the thumb and middle finger, and press in the middle with the index finger. 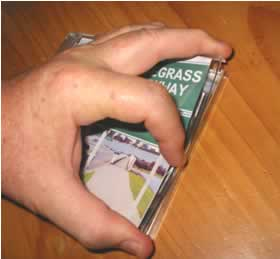 This releases the little 'claws' that hold the CD in place. Bingo. 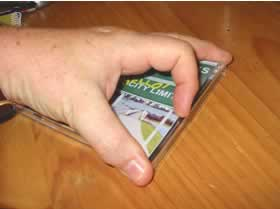 You've opened the jewel case with one hand, and removed the CD safely without touching the music surface and its in the correct position in your hand for insertion in your CD player. 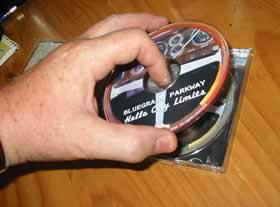 One hand, safely handling the CD and your CDs will remain in pristine condition for years this way.